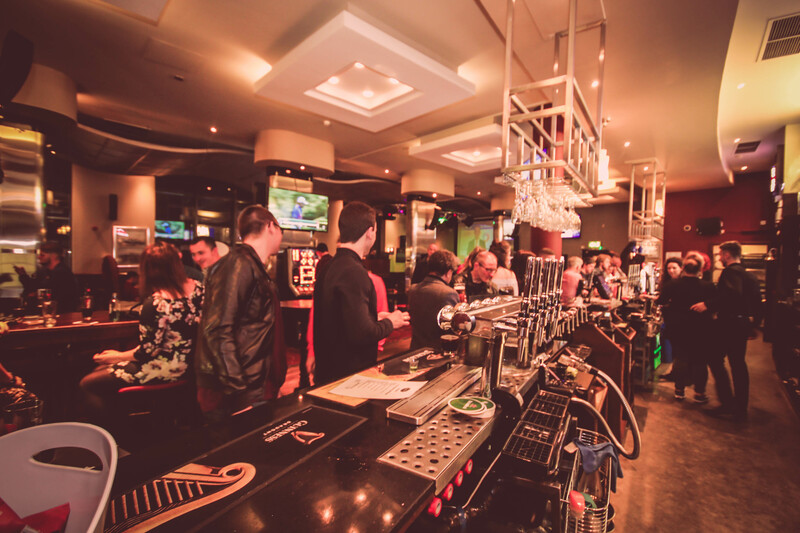 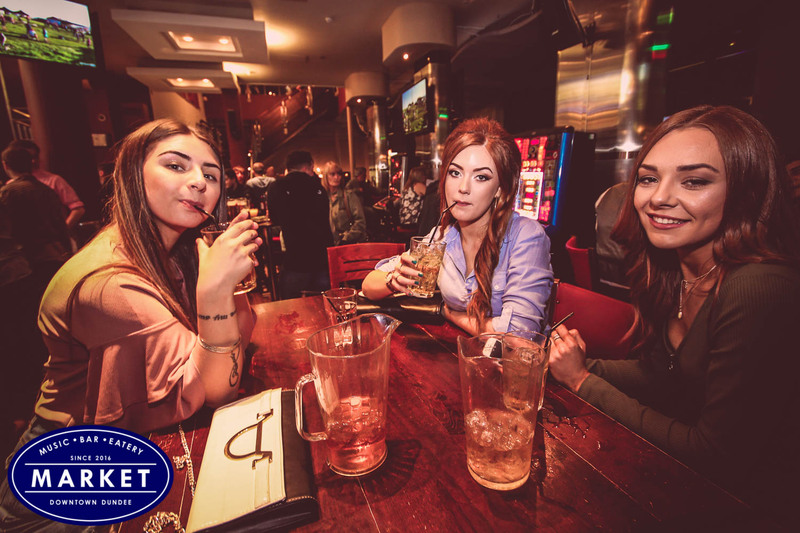 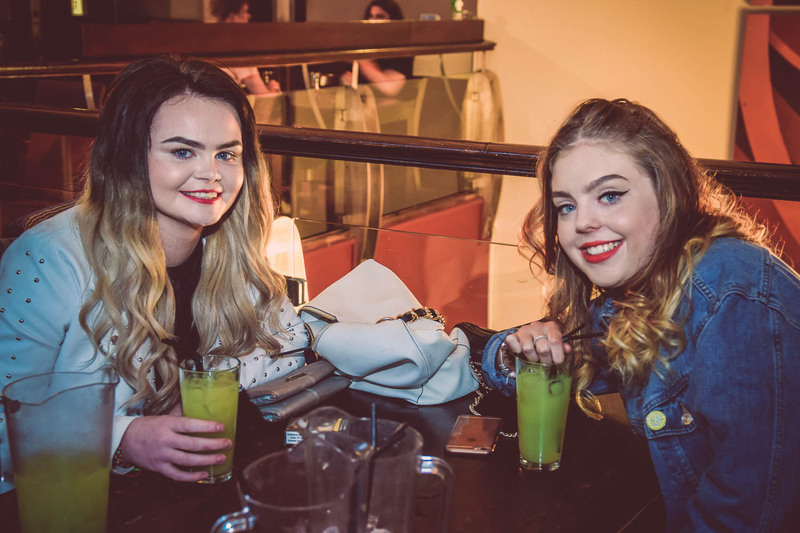 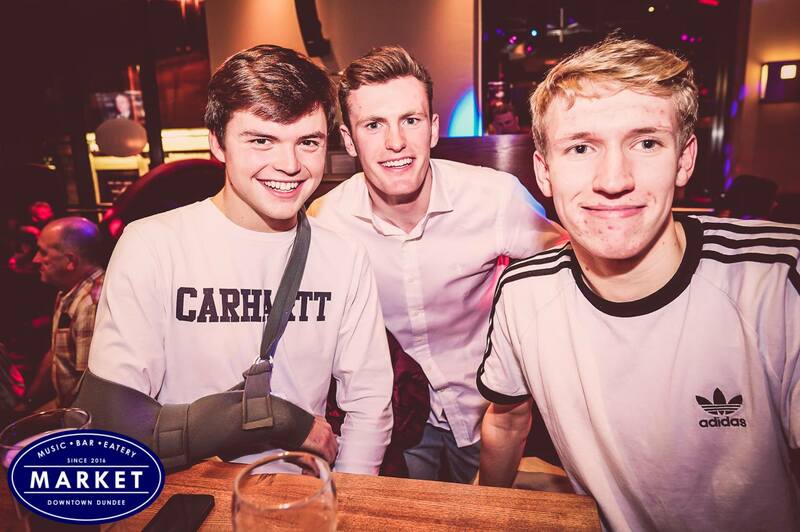 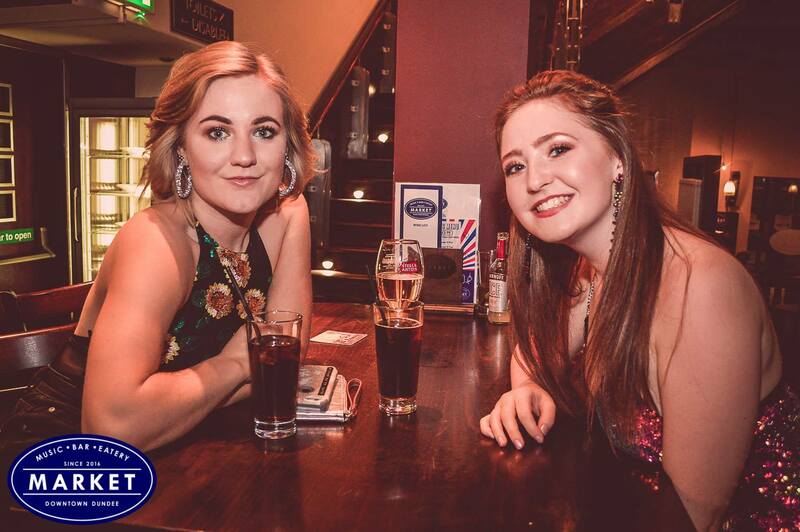 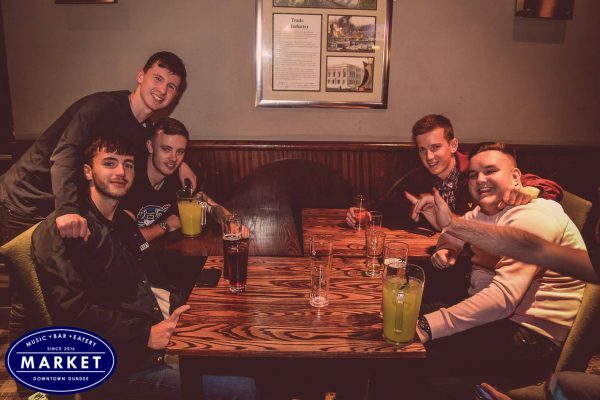 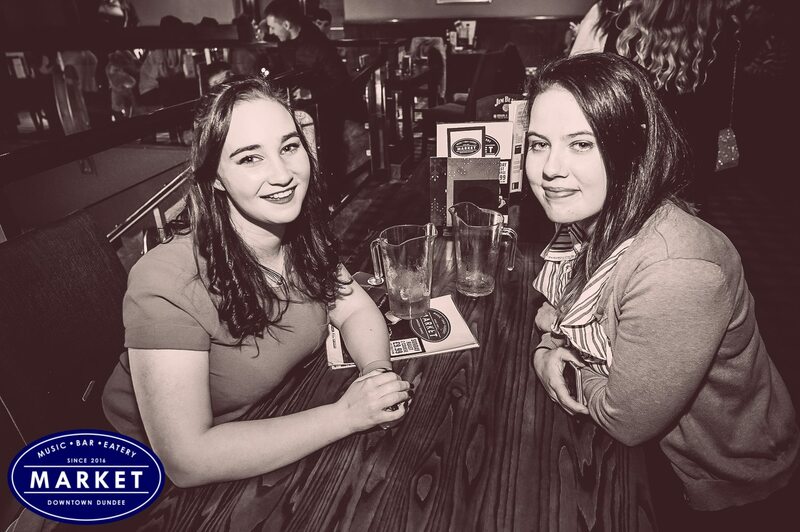 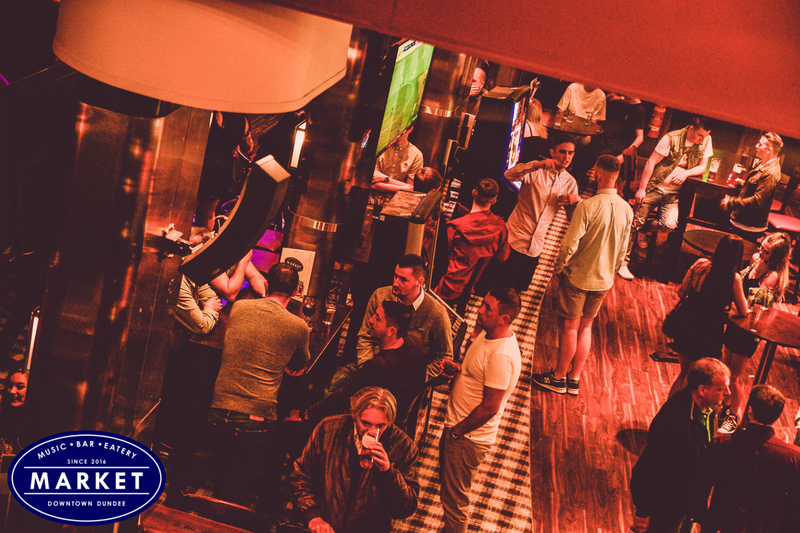 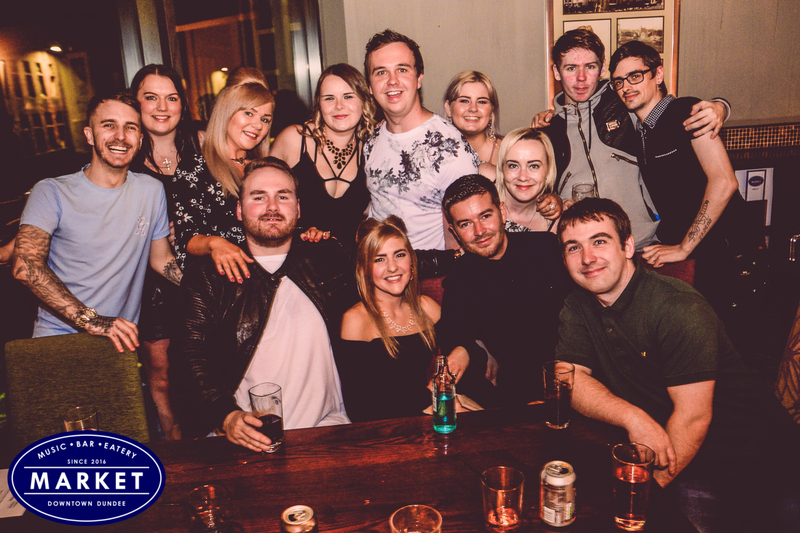 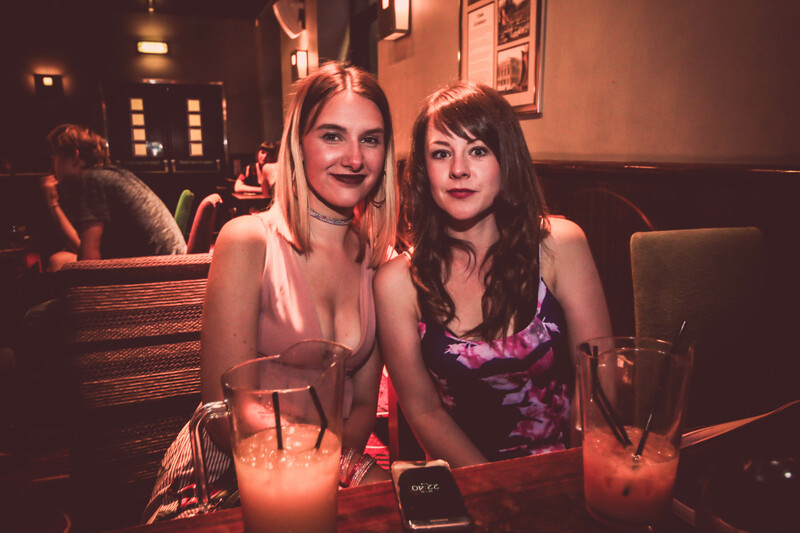 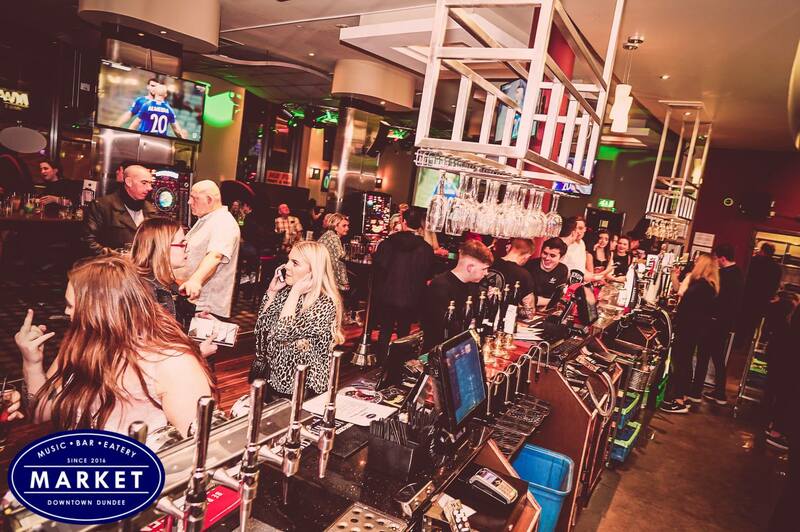 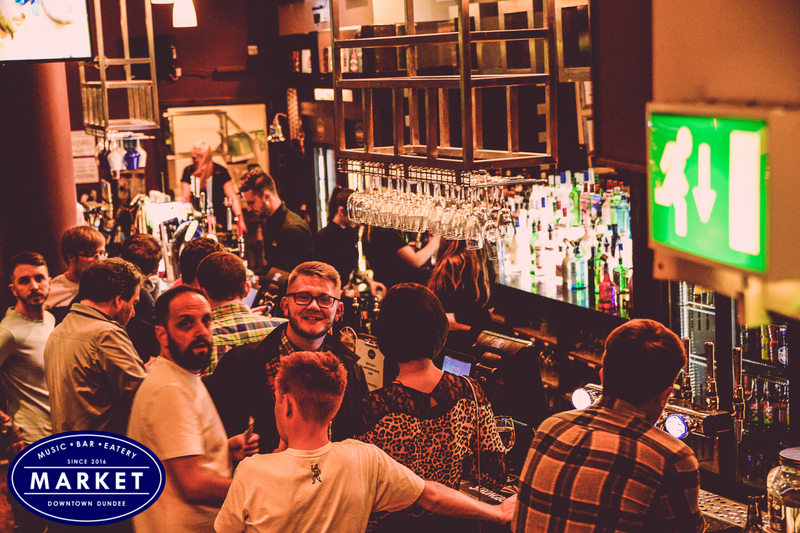 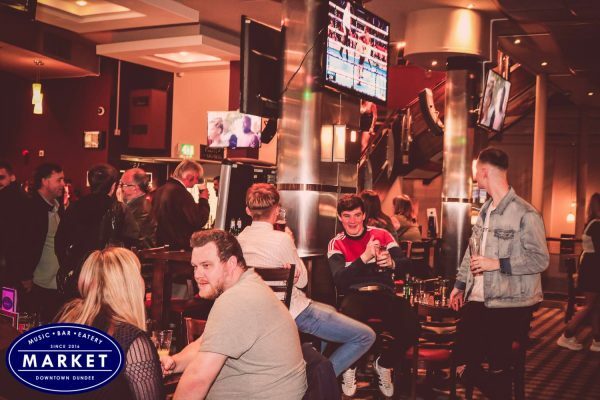 Great food, drink, entertainment & live sport - right in the heart of Downtown Dundee! 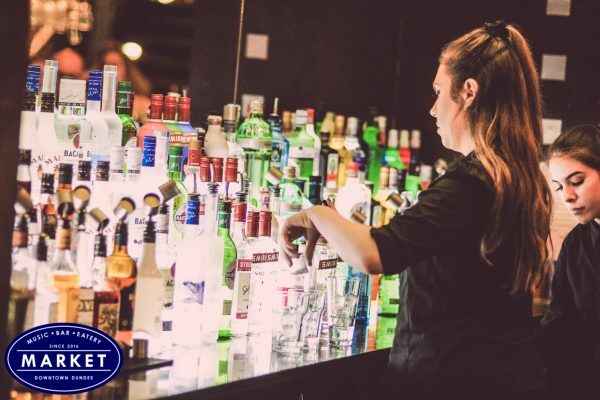 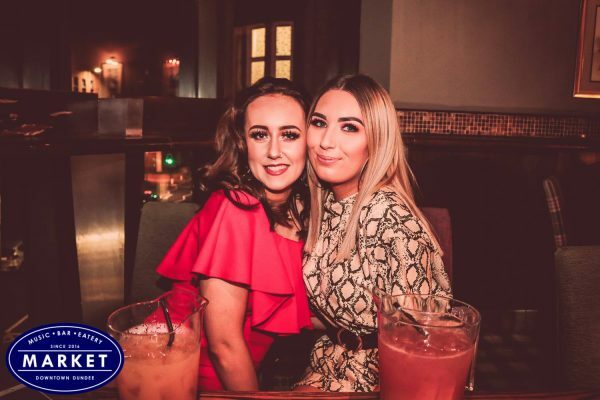 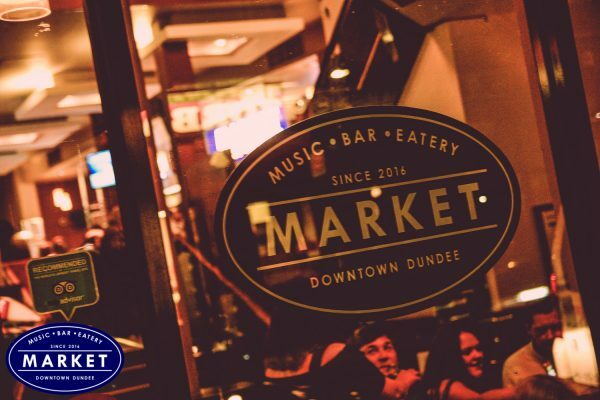 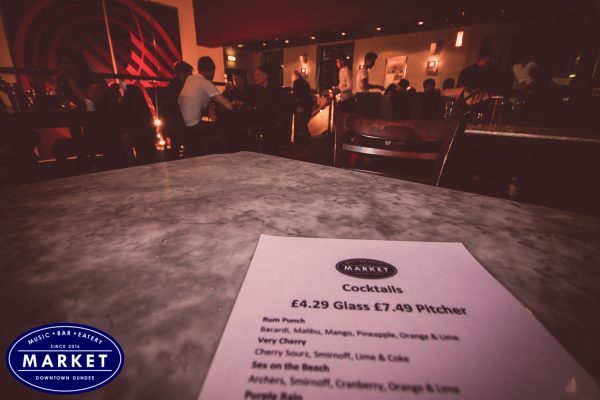 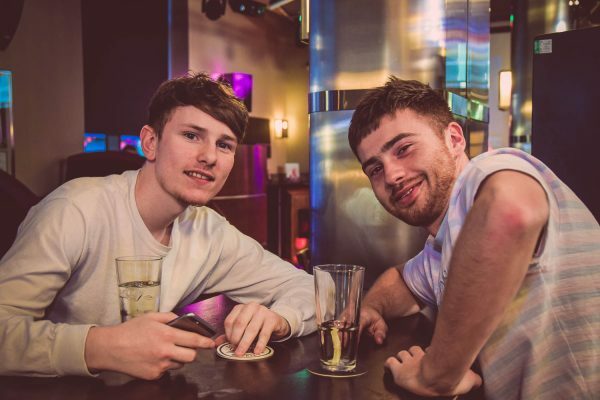 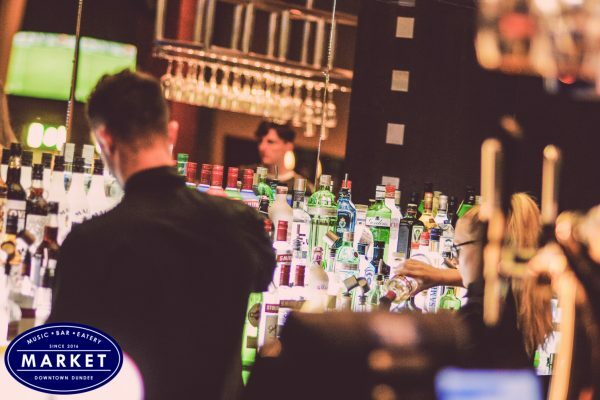 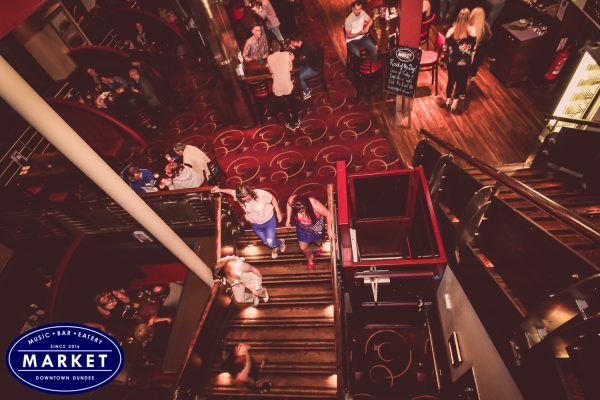 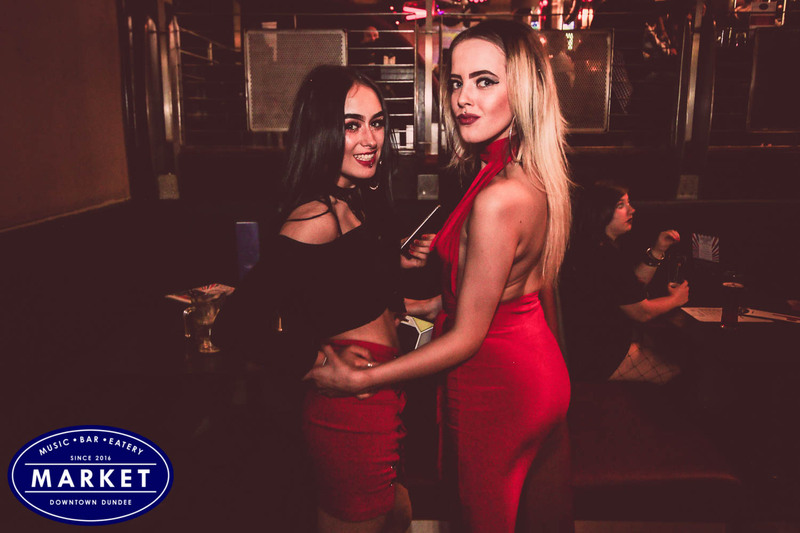 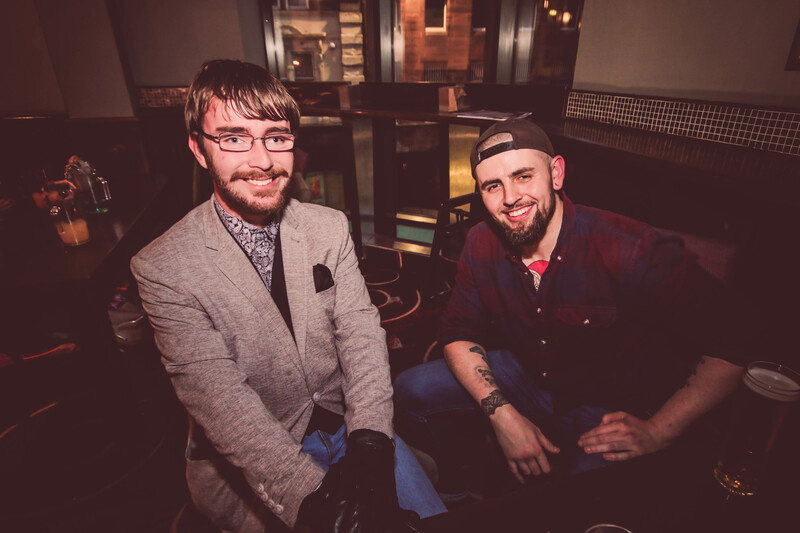 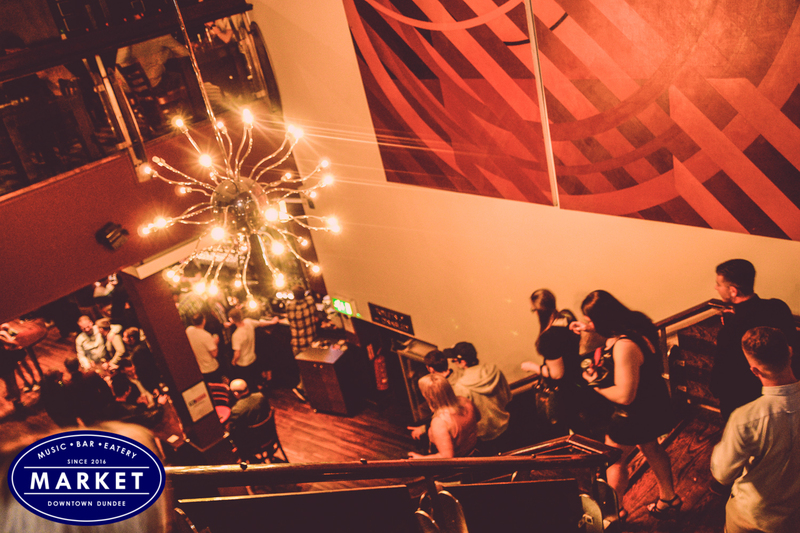 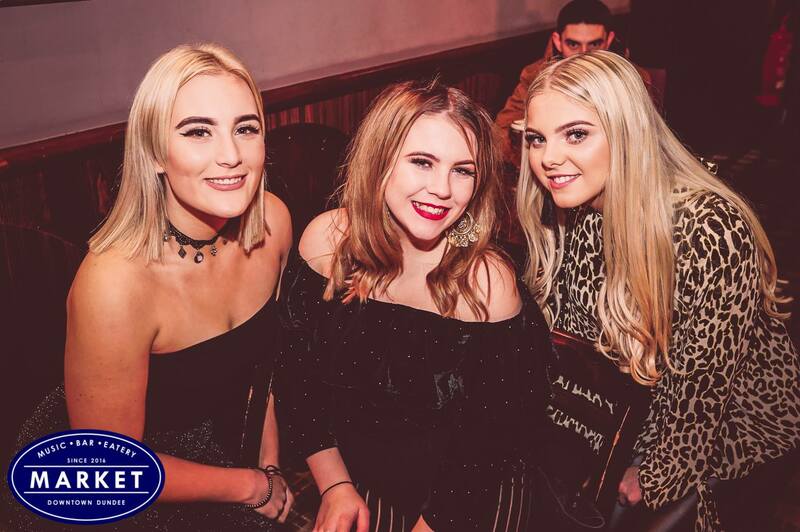 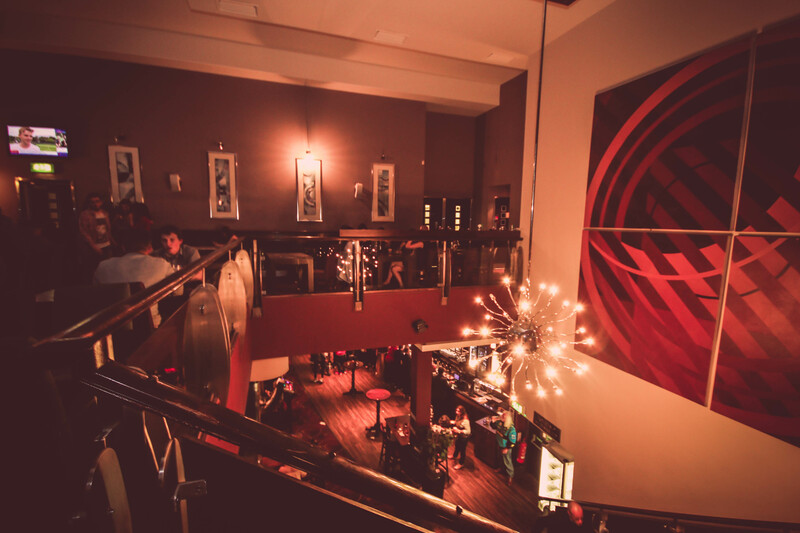 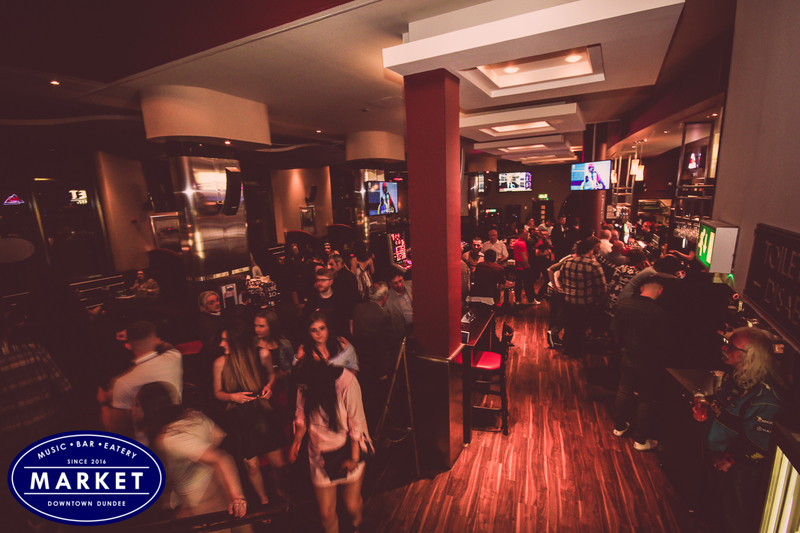 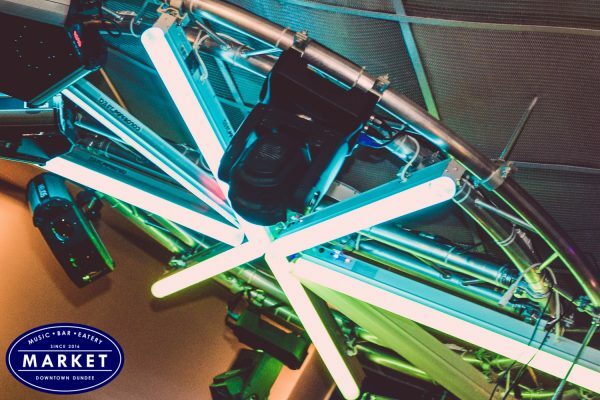 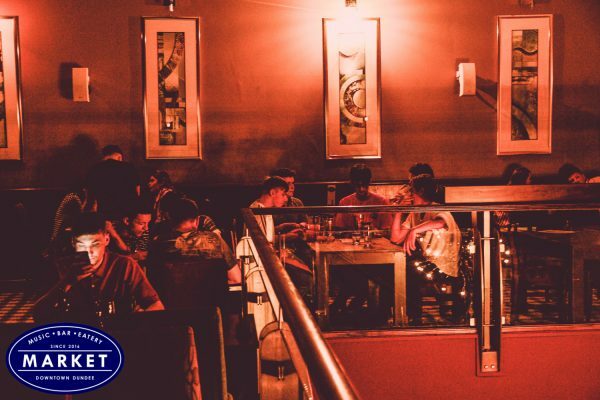 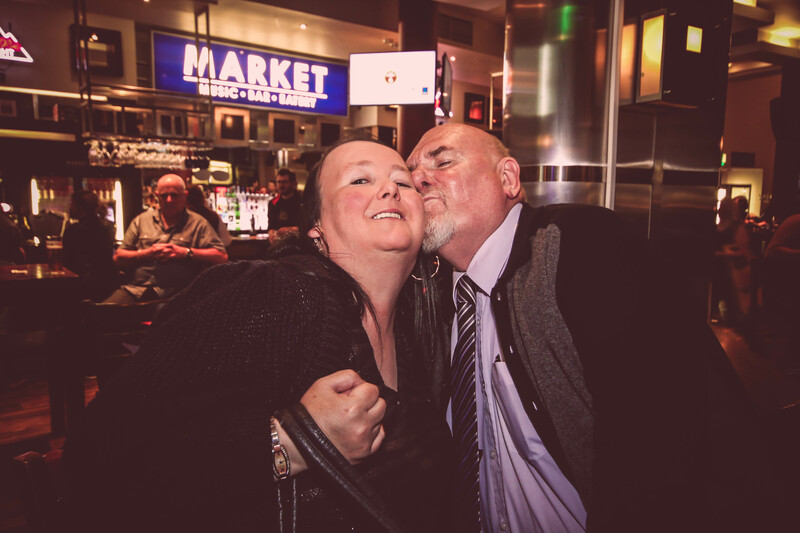 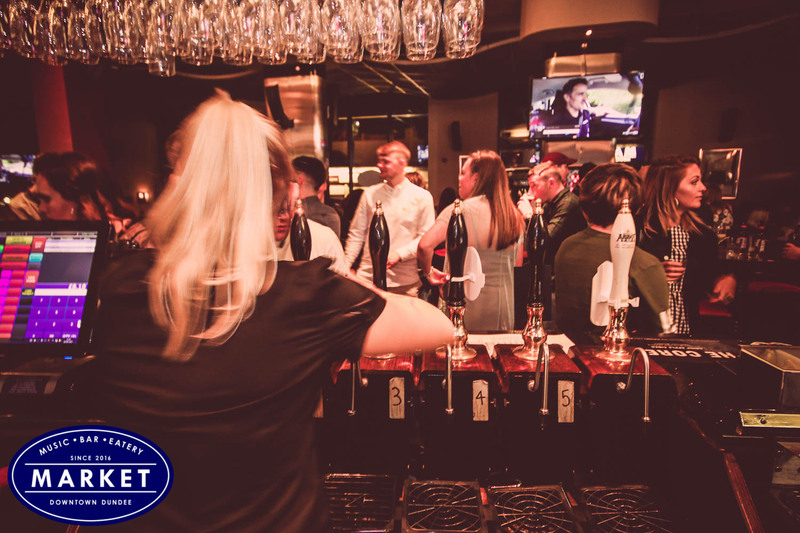 The Market is Dundee’s premier bar, restaurant, music and live sport venue situated on the Seagate, right in the heart of Downtown Dundee. We serve delicious and great value food from breakfast through to 10pm and have a fantastically stocked bar with an extensive gin menu, real ales and cocktails. 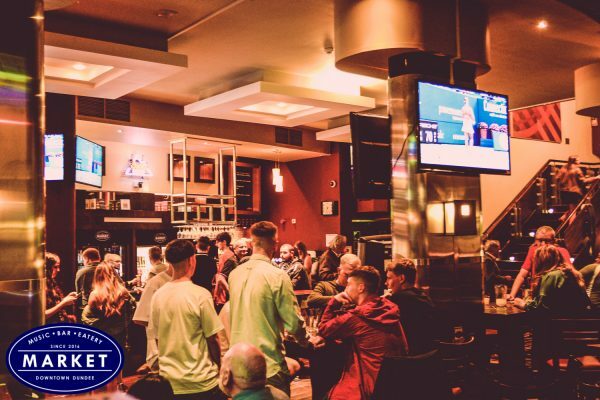 Looking for great entertainment and sport? 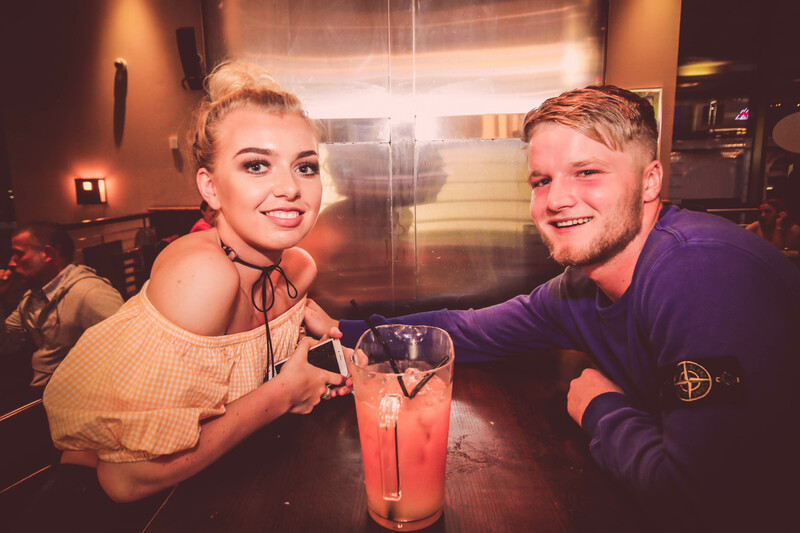 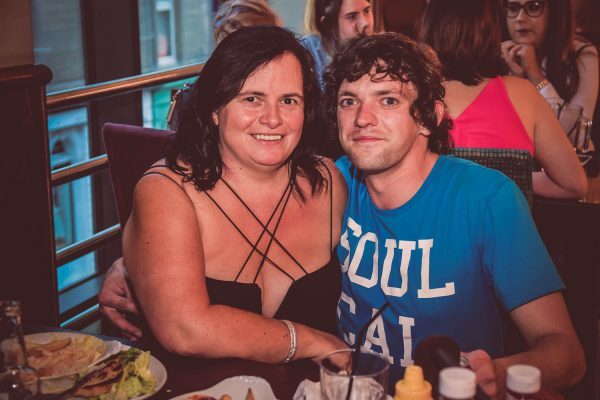 With Open Mic and Acoustic nights, plus a live DJ on Friday and Saturday we are the place to be every night of the week. 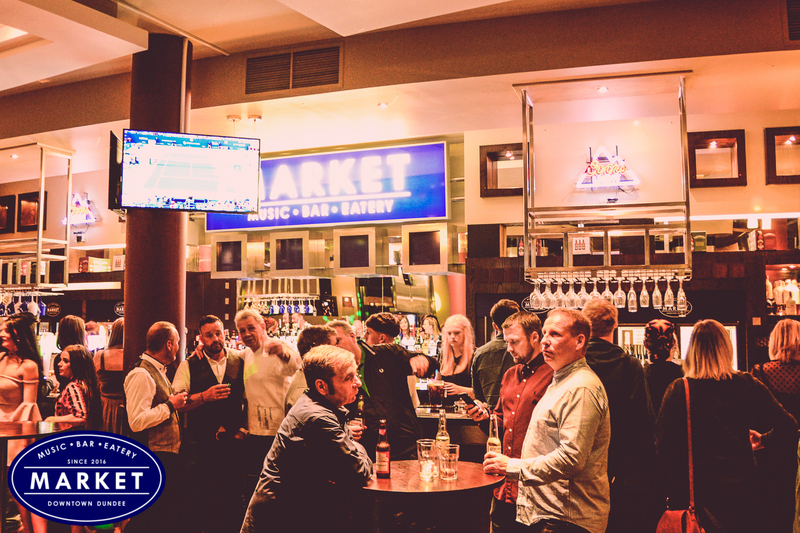 We also show all live sport on our 16 big screens which makes the Market the ideal venue to catch all sporting events! 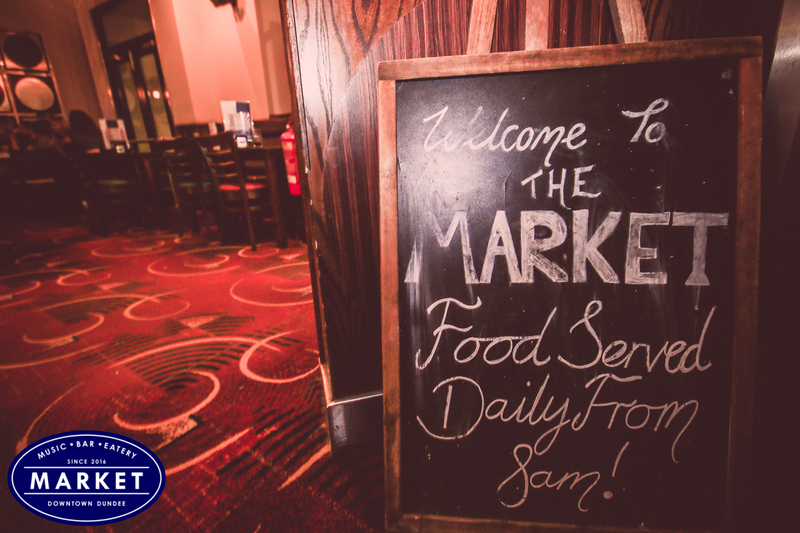 What's On At The Market? 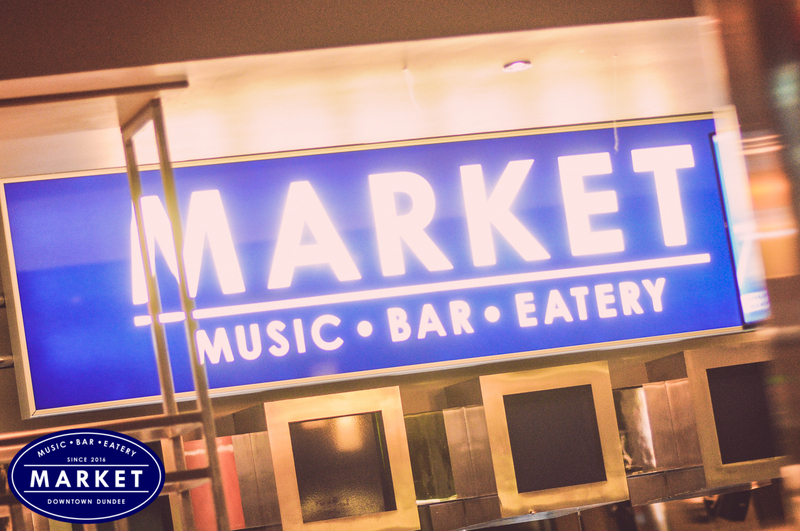 Get a taste of what The Market has to offer... Music, Dancing, Eating, Drinking, Sports, and good times had by all. The perfect place to start, end, or spend your whole night in Dundee.